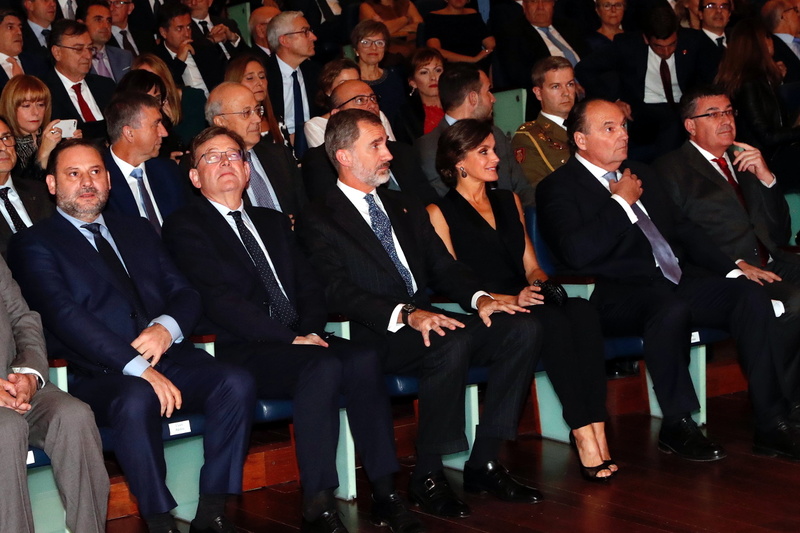 On Wednesday, King Felipe and Queen Letizia of Spain traveled to Valencia to preside over the Valencian Economy Night held in the City of Arts and Sciences. 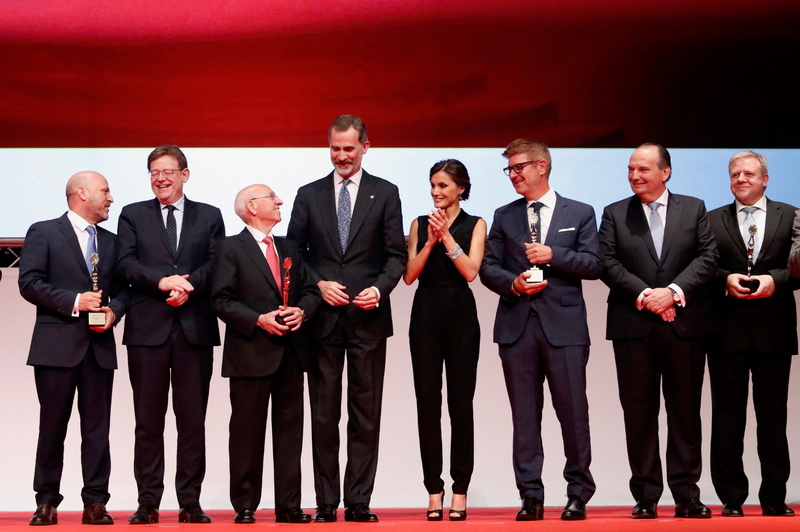 Every year, the Chamber of Commerce of Valencia grants the awards in the following 5 categories: innovation in the company, promotion of internationalization, excellence of the business management model and socially committed company. 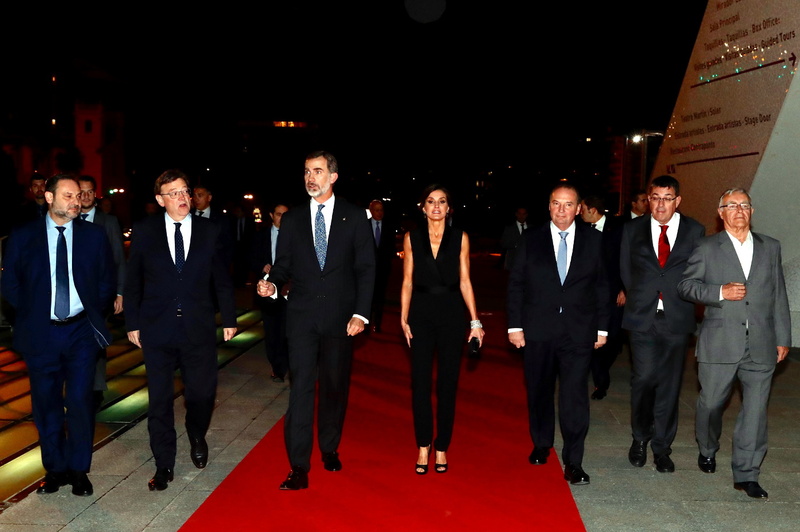 Upon arrival, the Royal Couple was welcomed by the executive committee of Valencian Chamber of Commerce. The award ceremony was held in the Symphony Hall of the building. 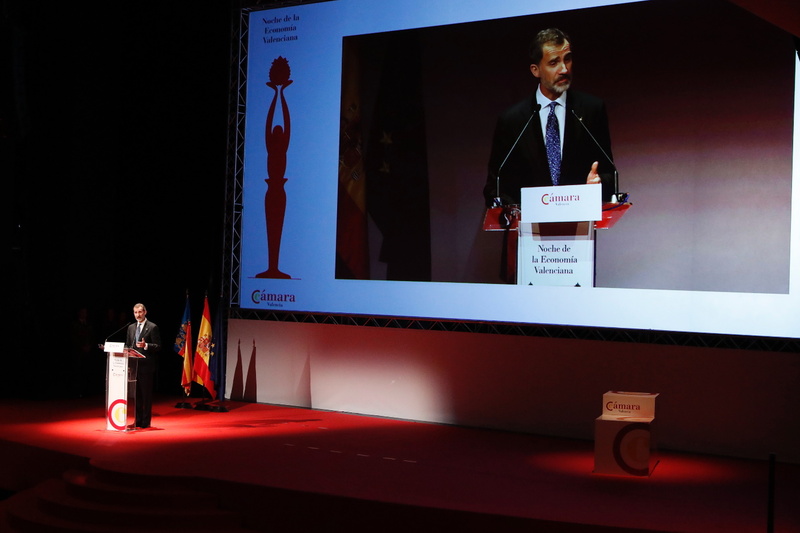 The awards recognize the special contribution of companies to the general interest of the economy of Valencia. The event ended with a brief meeting with the members of the Executive Committee of the Chamber of Commerce of Valencia and award winners. 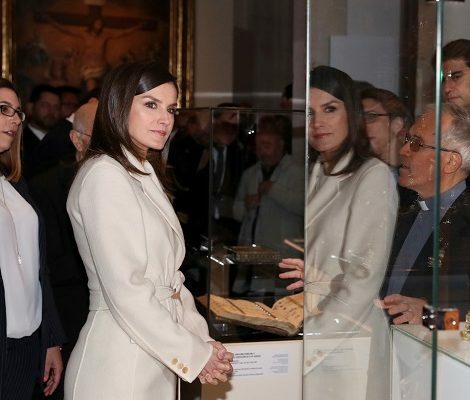 For the event, Queen Letizia chose a very stunning and elegant look. She chose to brought back the black Hugo Boss Jumpsuit that she debuted in 2016. 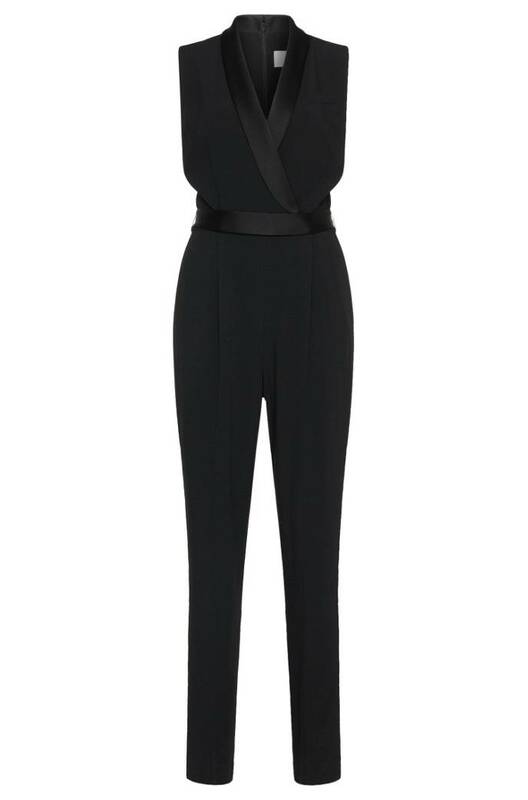 The sleeveless jumpsuit has a deep vee-neckline with a wrap bodice accessorized with a satin belt. 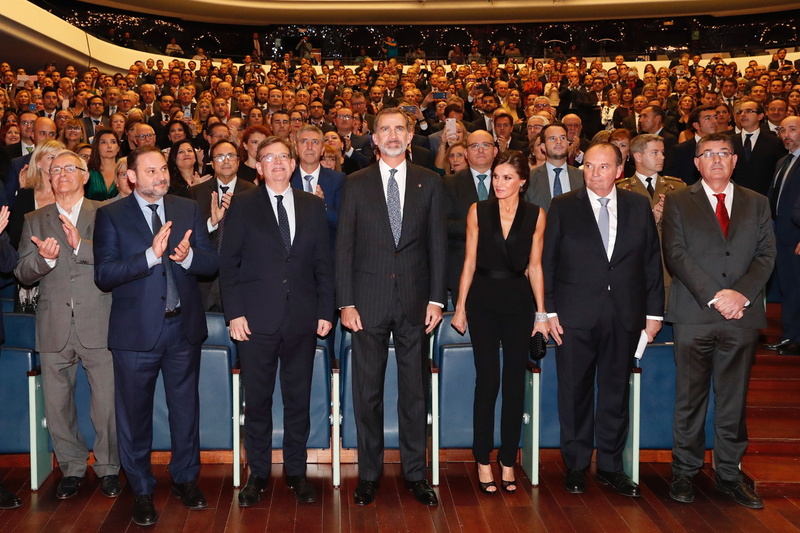 Letizia paired the outfit with Magrit transparent suede peep-toe pumps from Magrit that she wore at Princess of Asturias Awards Ceremony last month. 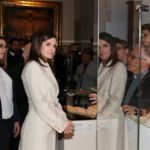 Giving the dazzling touch to her look, Letizia paired her outfit with a very sleek jewellery that compliments the whole look. 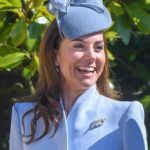 She wore black diamond earrings from the Swiss firm De Grisogono that she owns since 2006 and last wore at 2017 Princess of Asturias Awards Ceremony in October 2017. 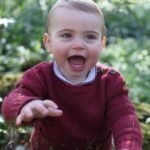 Once again, on her left wrist, Queen wore Cartier joyas de pasar diamond bracelets that is part of Queen Victoria Eugenie of Spain’s collection passed on to the Spanish Queens. 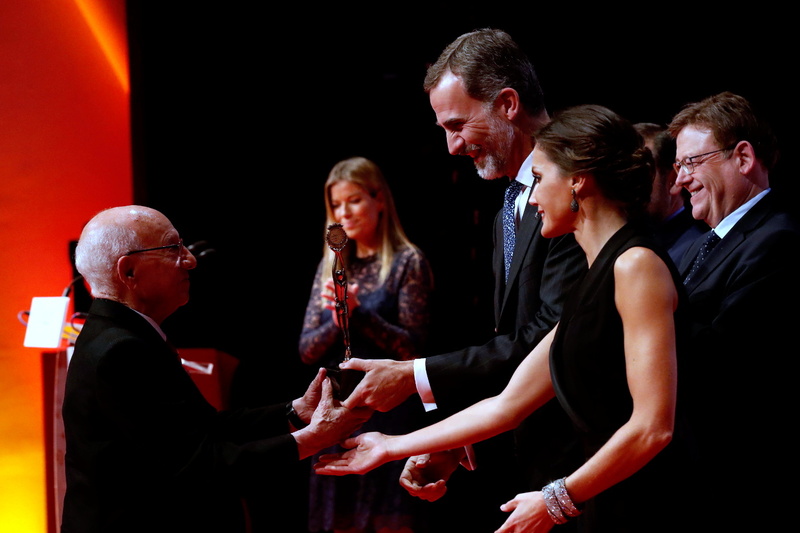 Letizia was seen carrying Bottega Veneta Knot satin and snakeskin clutch that she first carried at Journalism Awards last month. 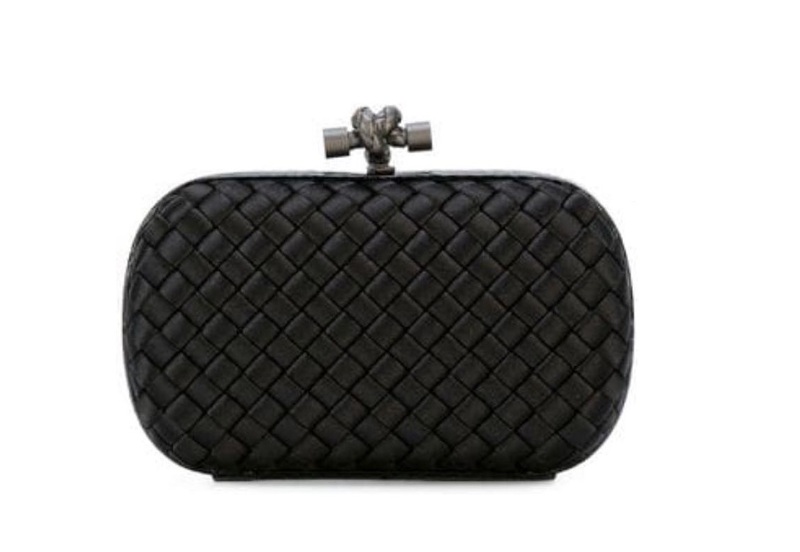 The clutch is currently retailing for $2100 at MyTheresa. 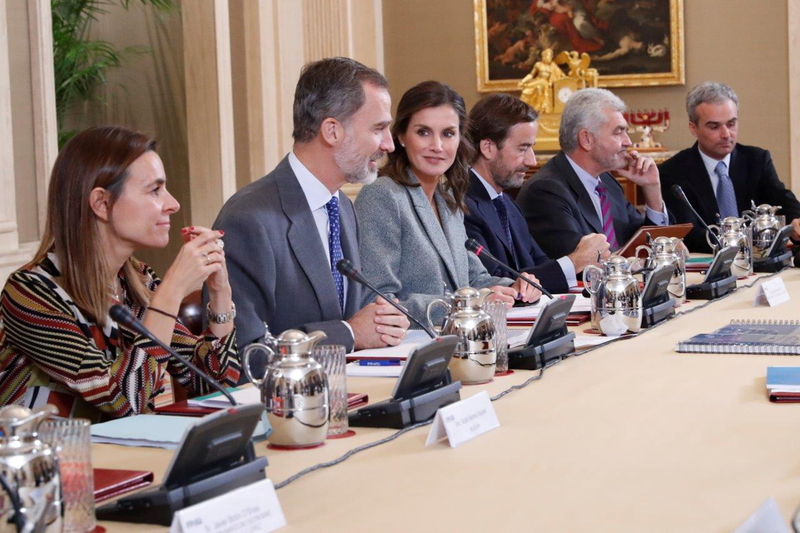 On Tuesday, Felipe and Letizia attended a meeting of the Delegated Commission of the Princess of Girona Foundation. 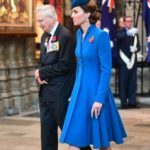 For the meeting, Queen was seen wearing a gray wool coat. 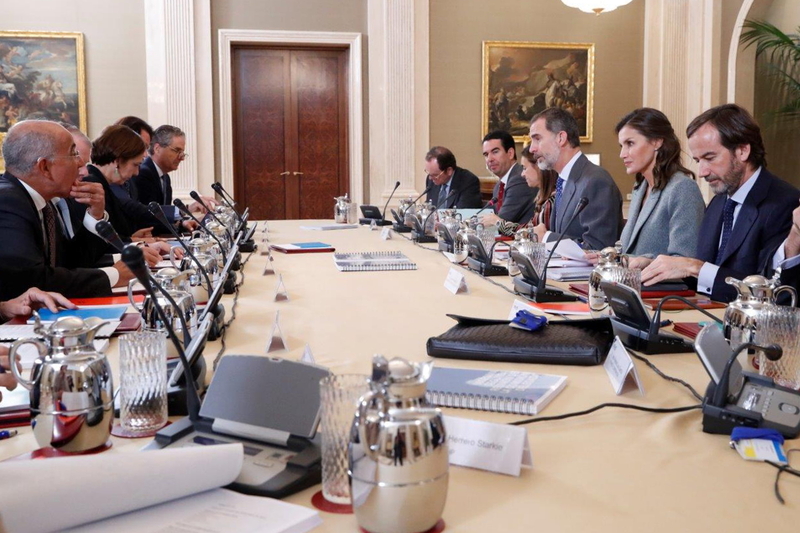 Next week Felipe and Letizia will make a three-day state trip to the Republic of Peru, which will serve to highlight and strengthen the historical ties and bilateral relations between the two countries.